Quality. Attention to detail. Custom. 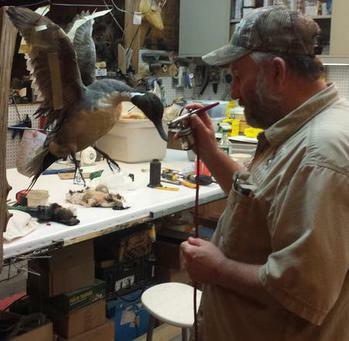 No short cuts... just a few words to describe what you can expect with the process at Alcovy Taxidermy. All capes are tanned in house which helps the color of the hide to stay true. NO dry preservatives are used, so you'll see no shrinkage of the hide on the finished mounts. 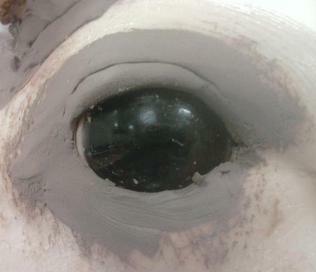 Epoxy is mixed and used instead of clay, so NO cracking around the eyes and mouth. The entire process is done in stages; tanning, mounting, grooming, painting/airbrush, each one completed before the other is started. This ensures attention to detail and consistency, as well as streamlining the process for maximum efficiency. The turnaround time at Alcovy is outstanding. 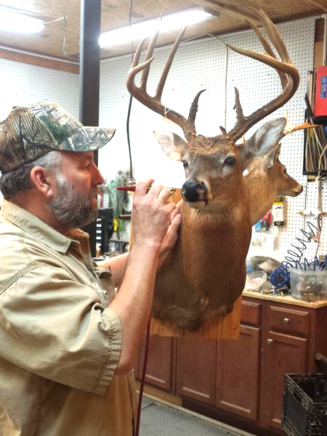 Ray shoots for the end of June to have your deer mounts so he can be free to start on turkeys and ducks between March and May. Our animal turn around time is 6 to 9 months this of course depends upon volume. A wide array of mannequin forms are available to customize your mount to your specifications. Visit the gallery here for examples of the variety of poses. In addition, all mounts are fitted to plaques or natural wood with a name plate, unless specified otherwise. 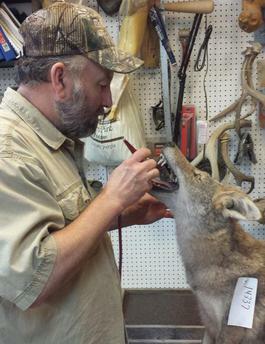 Click here to contact Ray about your mount.